Are you drowning in a sea of tasks and only want certain ones to show up for certain projects? Then you definitely need to use Tag lists! How do I apply tag lists to a project? Apply Tag Lists to projects by selecting the tag dropdown menu under Tags on the "Edit Project" page. When you create or edit a project you can assign or remove any tag from the project. 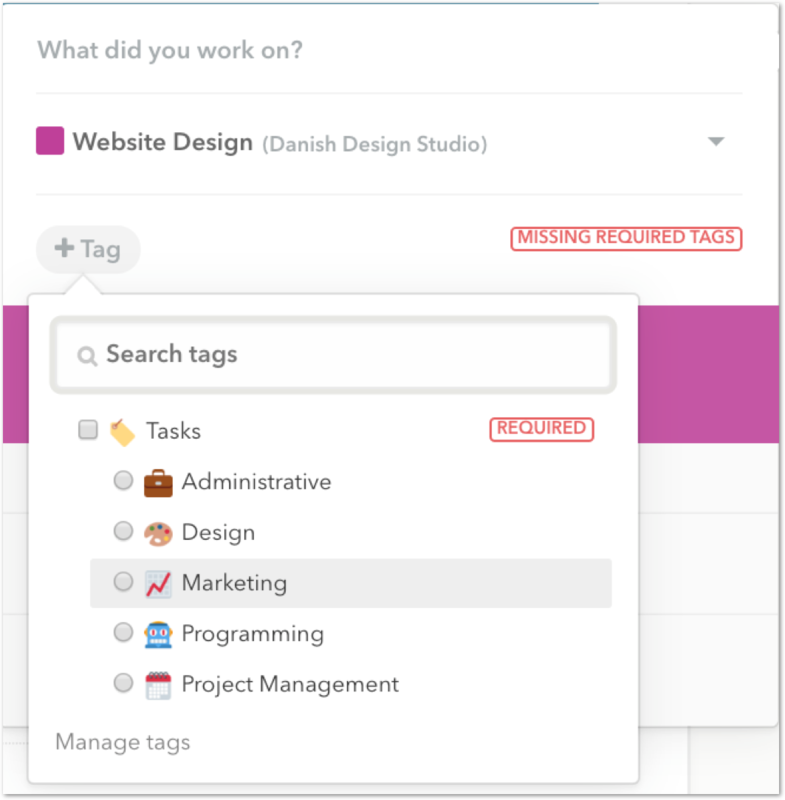 The Project Tag list (shown below) displays a list of all the tag lists you have ever created in your tag management system. Once you have selected a tag list, determine if you'd like all tags under that tag list to be allowed by using the check boxes. If you accidentally add a tag you'd like just use the "X" on the right-hand-side of the tag to remove it from being an option. 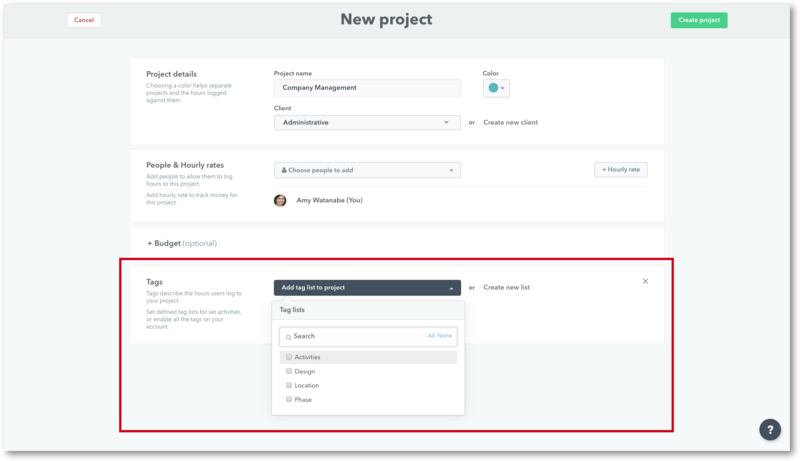 You can also require certain tag lists to be used on projects by selecting "Add Tag List to Project" > Toggling on the Required button. NOTE: When tags are required on a project, you will not be able to save your entry until you have applied the required tags for that entry. What happens if I assign new tags to a project that already has existing tags? Tags will only apply going forward. Tags will not automatically apply retroactively to all previous entires.